One of the sweetest parts of a project is seeing everything you imagined come to life. That was what this weekend was all about. After months in the making, a project meeting to get our ideas down…some weeks later and it was time to see what Maximise came up with. I arrived at our Apartment in Aldgate East at 5:55pm, some 5 minutes before our scheduled arrival. Luckily enough, that five minutes was utilised attempting to get information from Reception staff in regards to where to go! In the end, I gave up and called our contact who told me where to find the apartment. Shaky start I thought! The apartment itself was pretty stunning. Situated on the 15th floor with a London skyscape view of Central London and of course the noise and bustle that comes with that view. Two bed rooms and big enough to sleep approx 7 people it was a pretty roomy space for being so central. Upon arrival, we popped open the Prosecco and had a drink to the weekend! A lovely little gift of personalised onesies greeted us which we all promptly slipped into…before the photographer informed us that a sea of black onesies would not make for great photos! Good job it’d just be iPhones and digital cameras in tow. Instagram filters can fix almost any photo demon, right?! After a little freshening up, a few drops more of Prosecco, it was sushi time! 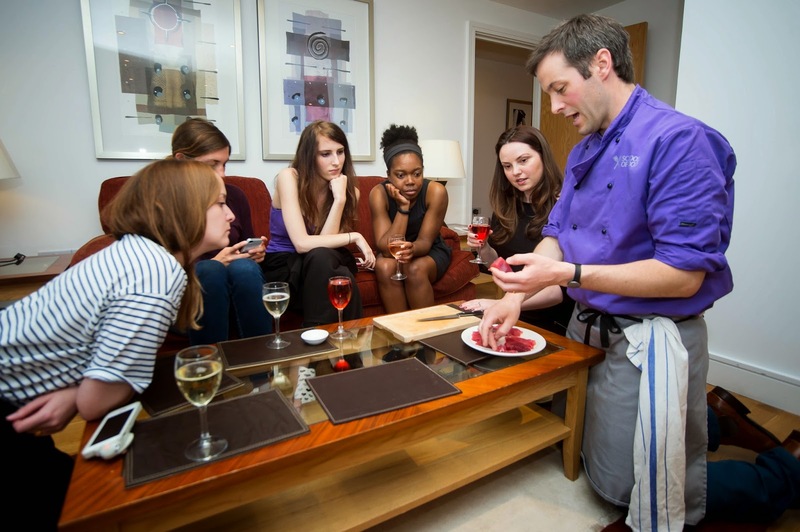 Alastair of The School of Food rocked up at our apartment with everything we needed to get the evening rolling…and us fed! Alastair demonstrated everything while talking us through the why’s and what’s of what we were doing. We then all had a go, choosing fillings, decorating and rolling. 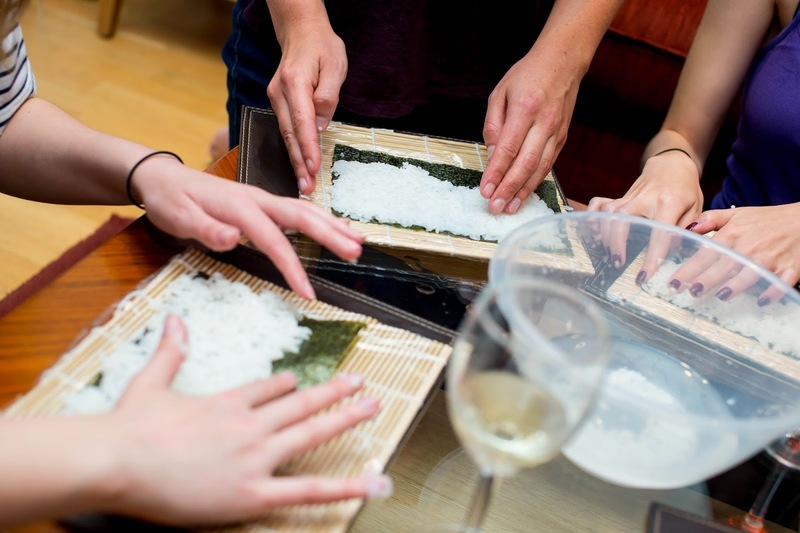 It was a lot simper than I expected yet there was a lot that goes into it…i.e the type of rice you use, how fresh the fish is, what bits of the fish you use for which types of sushi and…. Our morning started about 8am when we started shuffling out of bed ready for our yoga instructor to arrive. She was due to join us at 8:20am ready to start a 90 minute class at 8:30am. Unfortunately there were some communication issues involving reception again which meant we only started yoga at around 9am after I went down to reception to find her waiting patiently for us! Class was then cut short to 60 minutes which meant I could only stay for about 35 minutes before I needed to pop out to teach at Victoria Park. What I did do of the class was great though…perfect level for those who have never done yoga before and some more challenging poses were thrown in for those of us who like to think we are somewhat seasoned yogis! I got back to the apartment where all the ladies were chilling out post yoga. 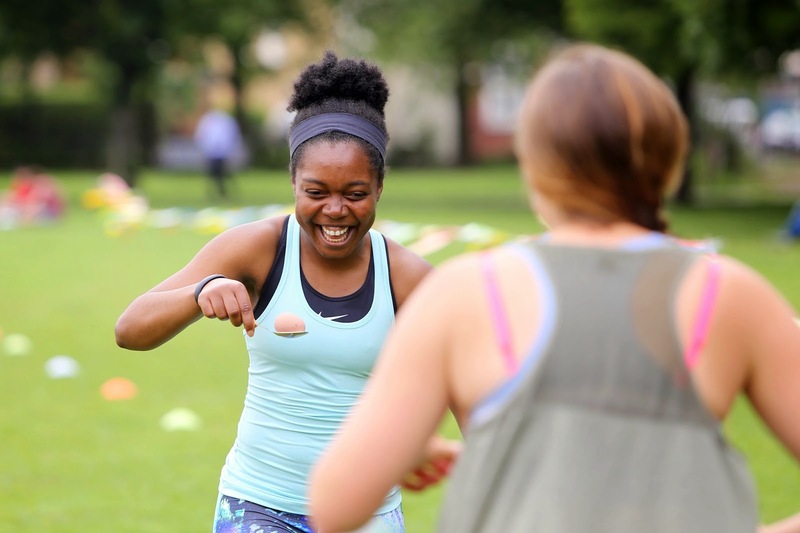 We decided on a plan to get to Shoreditch Park for our afternoon of Old School Games with North London Fitness. 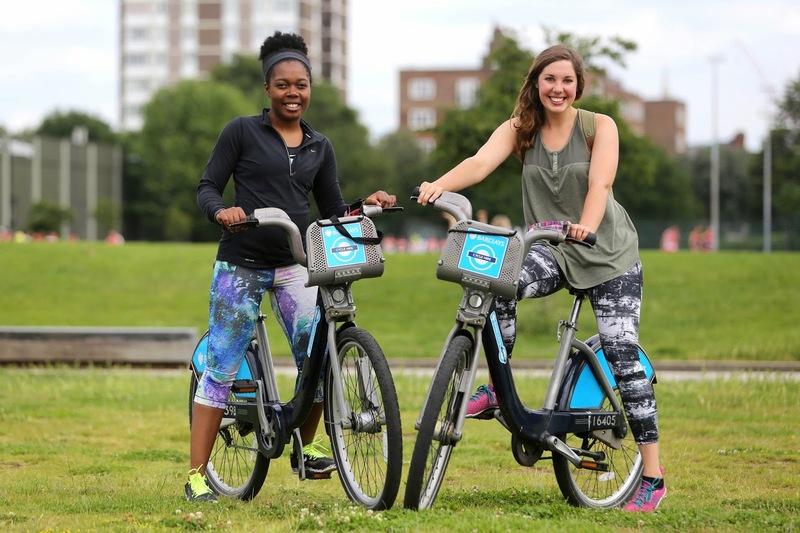 It was a beautiful, warm day in London so Sian and myself decided to Boris Bike to the park whilst the other ladies opted for a leisurely stroll. After battling to get the Boris Bike keys to work (they hardly ever do in my opinion), I used a credit card, hired our bikes and we were off. With a few stops here and there to check we were going in the right direction and stops for lights we arrived safe and sound…just in time. 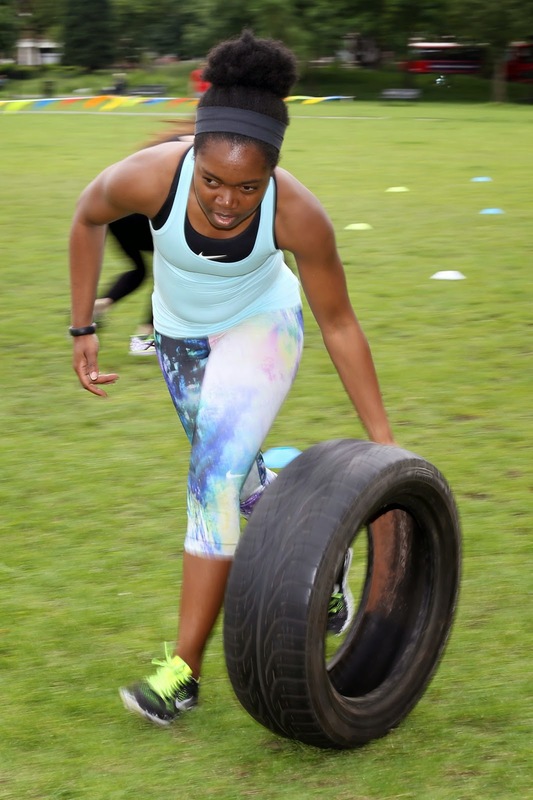 However, both Sian and I needed the bathroom…and there wasn’t one in the park…We won’t even talk about this situation, but I think it put some fire in our bellies and when we teamed up together, just the two of us, against the others in teams of three, we were on a mission…to win! 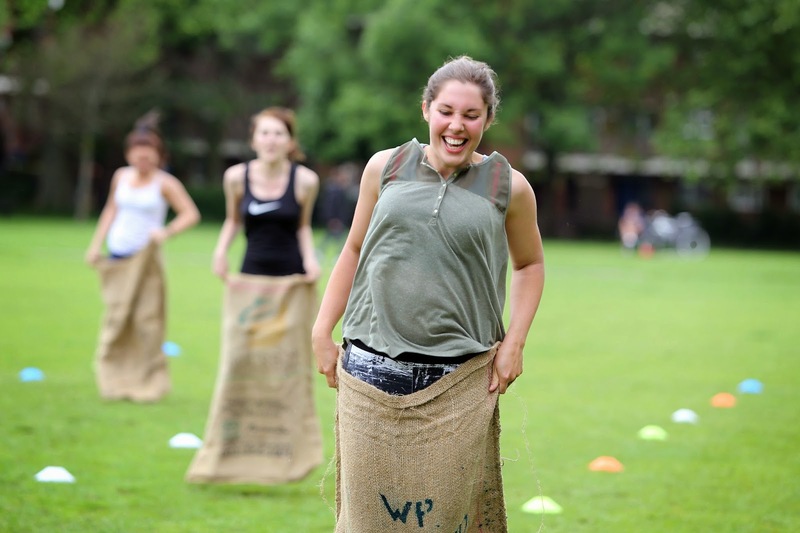 Games included egg and spoon, five legged race, a wellington boot throwing game. You name it, Sian and I won it! Medals and more prosecco ensued! 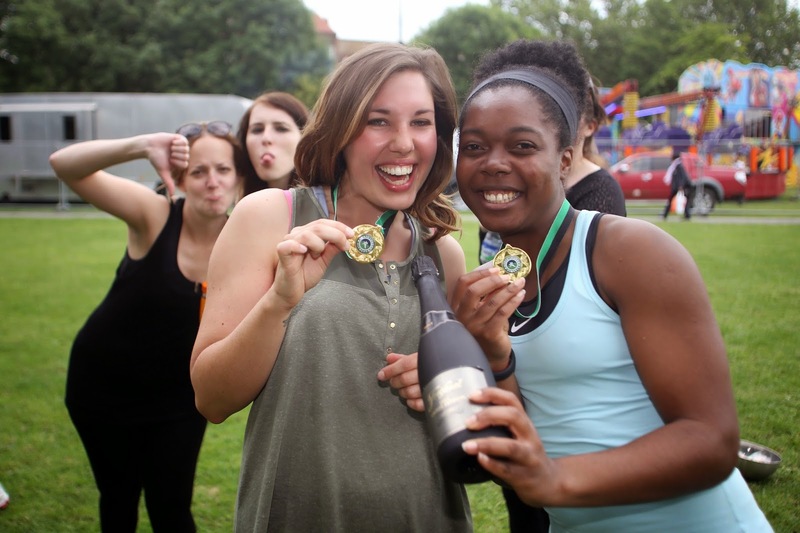 Of course we shared the bubbles with everyone…team spirit had returned by then! Anyone who knows me, knows that I eat often…so by the time we finished the games, I was famished. I had had a banana for breakfast and some eggs on toast for lunch. This in total equates to just breakfast for me. But after the park games and waiting for a taxi to take us back to the apartment, we were left with just 40 minutes to get ready and no time to eat. Jewel Bar. Piccadilly Circus. 6pm – 7pm. Cocktail Making. Just us and our cocktail connoisseur Roberto. He banged out the cocktails and the games to keep us entertained for the hour. There was so much alcohol we didn’t have time to drink it all before we headed to dinner! Grace Bar. Piccadilly Circus. 7:15pm. Dinner in Private Room. A short walk from our previous location which was very handy. It has been a while since I have donned high heels. Having been to Grace Bar before, I was a bit dubious; however, I decided to give it the benefit of the doubt and go in with an open mind. It did turn out how I had expected though – rammed full of hen do groups screaming, laughing and ramming inflatable genitalia at each other! Tucked away in the private dining room made the evening a whole lot more bearable and reduced the noise somewhat when the door was shut. Our two course menu was pre ordered so there was no long wait for dinner. The food was generally not of an impressive standard though – more of an office christmas menu – where you don’t expect a lot. What did save the evening though was the company – we had such fab and funny conversations – that was the number one lesson learnt. *the old school games were a lot of fun. We were lucky with the weather though. What would be the plan had the heavens opened?! *the apartment. location was spot on. A taxi home from Central London was very reasonably priced meaning you could come home in relative style! It was also clean (when we arrived at least! )…post sushi, it could have done with a once over, but who was gonna do that?! *Saturday felt like a crazy long day. We talked about moving the yoga to the Sunday morning but we assumed hangovers may be somewhat worse than the previous morning. I still like the idea of yoga on the Sunday morning – a great way to relax post a weekend of fun and frolic. *the check out time for the apartment on Sunday morning. 10:30am?! That should be illegal! hangover or no hangover! *less free time on the Saturday afternoon before the games and more before the evening out! *the hamper…maybe fill it with Wholefoods goodies?! new things for us to try?! maybe some girly night in stuff…face masks, socks, healthy snacks, fro yo, popcorn…oh but keep the games…maybe?! 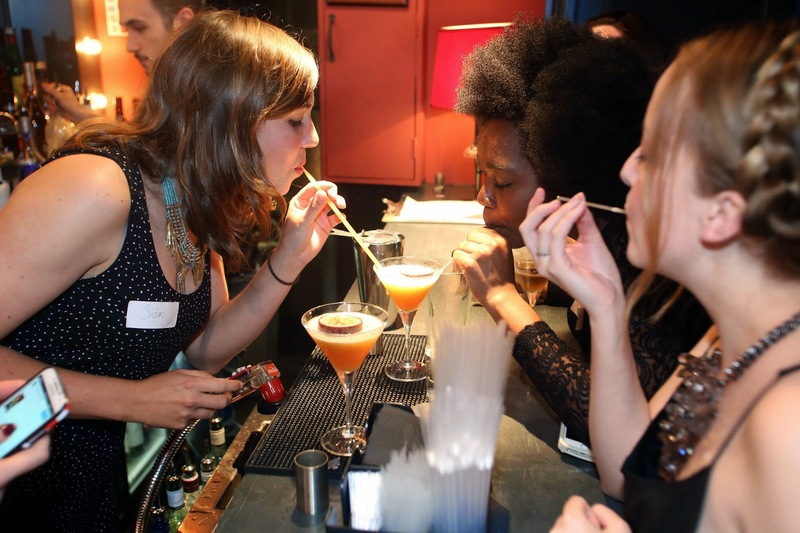 *I enjoyed the cocktail making but it more more focused on being a boozy party activity. 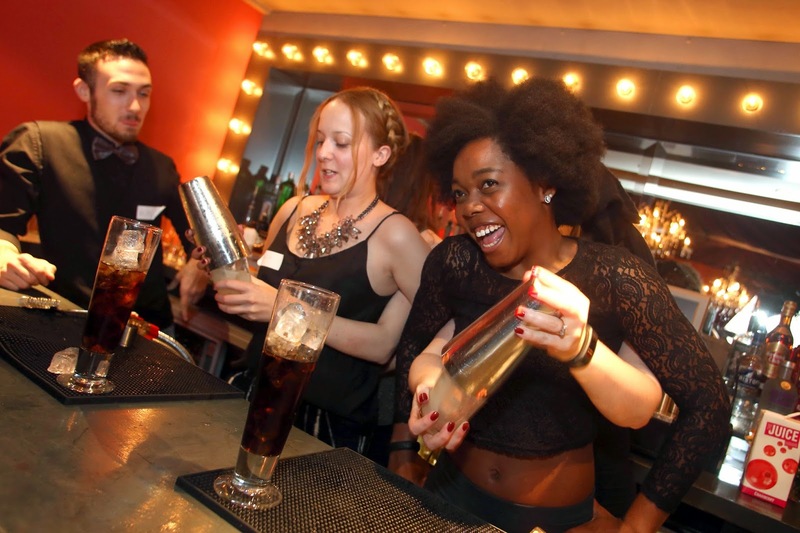 I absolutely loved when I went cocktail making at Mixology in Shoreditch. It was more informative and you would still get to do all the drinking. 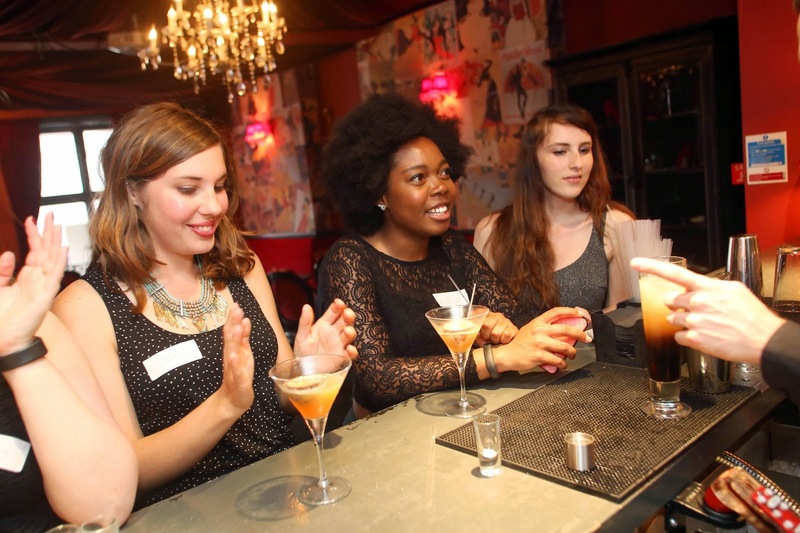 …Maybe even a night out in Shoreditch post cocktail making would be a bit different / unique?! Q: DiD iT mEeT tHe BrIeF?! A huge ‘Thank You’ to Maximise for choosing me to be a part of this project! An even bigger ‘Thank You’ goes to Sian, Christine, Georgina and Laura for being such great sports and sharing this experience with me! …and remember, this isn’t the final product! So keep an eye out for how Maximise bring this to life in it’s completed form! 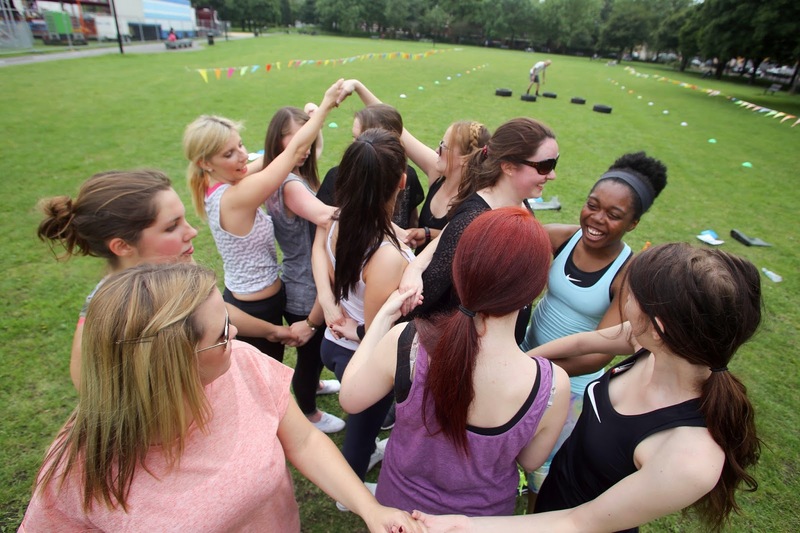 I shall now appoint myself resident expert on active hen do’s should anyone have any questions… But, what do you think would be fab to have included in an active hen do?! What do you think of the package so far?! p.s Maximise are offering a special promotion for my readers – the bride goes free when you book a hen package. 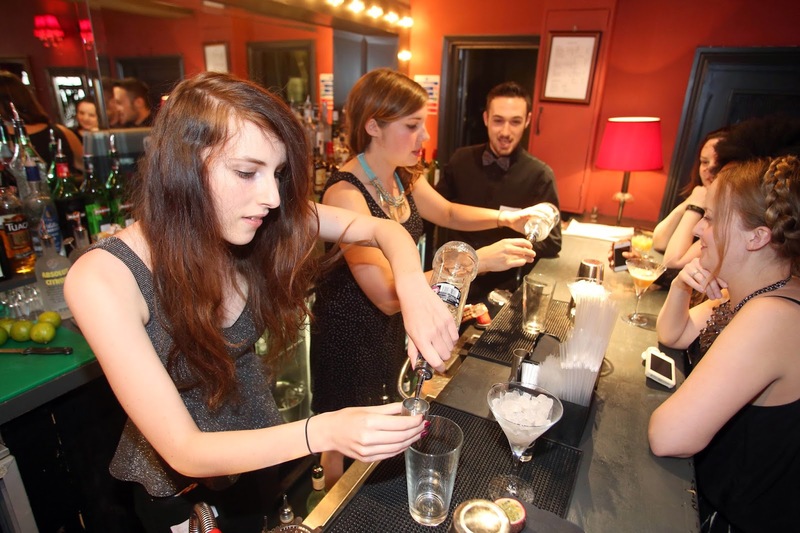 You just need to quote the code: ACTIVEHEN when booking online or over the phone (0208 236 0111). That actually looks like a proper fun weekend!